Home for the holidays? There's no better time to start filling your stockings with lots of gold to spend as you please! 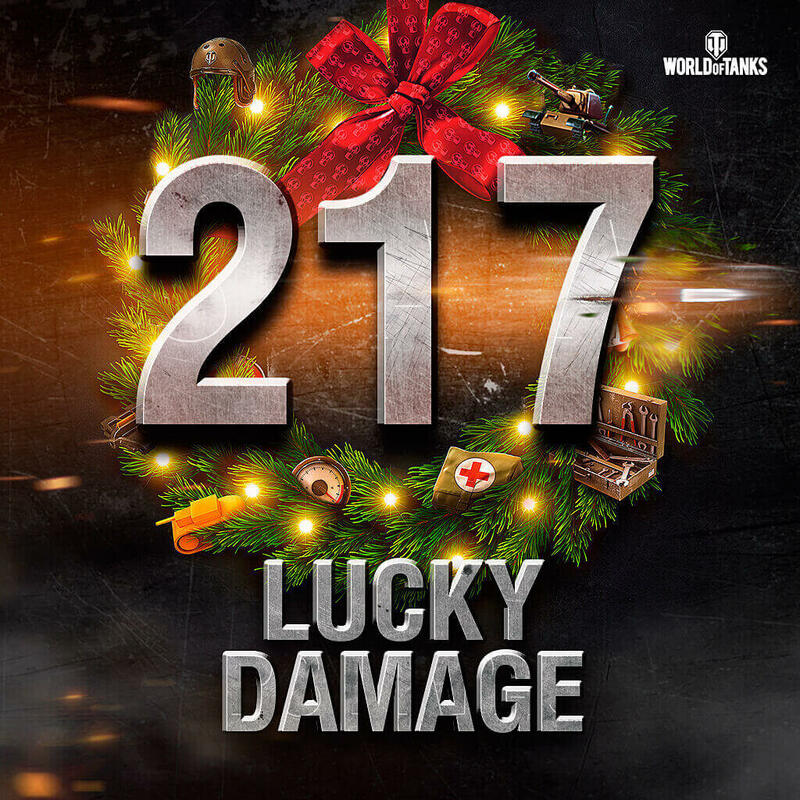 Come play this edition of the Lucky Damage lottery and get festive on the battlefield! If you participate in any of our qualifying tournaments and manage to deal an amount of damage similar to our Lucky Damage Number, you can simply submit your battle result screenshot and replay from the relevant match to be eligible for the lottery prizes. Random battle match replays will NOT be accepted as entries, so be sure to look out for the relevant tournament announcements in the coming weeks for your chance to participate! To win a Box Play, the player's damage dealt number will only be required to feature the three digits of the Lucky Damage Number in any order. So damage dealt numbers of 217, 721, 1271, 2173 and so on would all qualify. Numbers with less than 3 digits do not fulfil this requirement. 10 Box Play winners will randomly be selected from all eligible entrants to each receive 1,000 as a prize; this prize can only be claimed once per player during this event. So what are you waiting for? Go on – get playing and get winning!